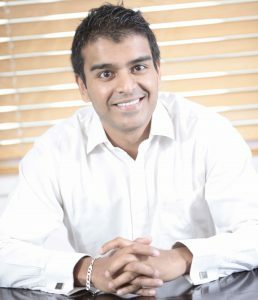 Saheel Shah is the co-founder of Kenya’s Adpack Limited, one of the fastest growing packaging businesses in East Africa. Saheel started the business five years ago with his father. Adpack Limited manufactures gunny bags or woven sacks that are used to package cement, agrichemicals, fertilisers and feeds for the farming sector. Saheel sat down with us to talk about what inspires him as a leader and to discuss his entrepreneurial journey. What led you to setting up Adpack? I grew up in a family of entrepreneurs. My grandfather came to Kenya on a ship when he was 14 years old. He worked with family members at first and then started his own business. He would make shoe polish in his yard and sell sesame snaps over the weekend. My parents have also always been entrepreneurs so this was part of my journey too. Going into business was about finding the right opportunity at the right time. When I came back from University my father asked me to go into a business with his friend but it wasn’t for me. Several years later however I saw an opportunity in packaging – Adpack. We are still evolving the business and we face new challenges every day. Recently with one of my friends I have started a second business which I had been thinking about for a couple of years. It is to help organisations track and monitor repetitive activities. For example if I need a production report I always need to remind people. We have devised a way to manage this remotely so it saves a lot of management time and effort. It is called GSD – “Get Stuff Done”. Let’s say we are talking about a hotel employee who is employed to clean bathrooms. This is an app for your phone linked to a website. It sends a reminder to the employee. He scans as he goes in and you can request a picture of the clean bathroom. I will never stop creating; whether it is to make money, for growth, excitement or to make a contribution to the country. Adpack is part of the journey. I get excited by creating new things, seeing people develop, and seeing something coming to fruition. We have had our ups and downs but we are stabilising; the team is taking on responsibility for the success of the business and they are proud of it. They are growing so if I can do three, ten, maybe twenty businesses in my life and impact individuals and their families, then that is what I want to do. Where do you see your business in the next ten years? I want other people to run the business. I want to facilitate and do more for people, then I will be happy. What are some of the challenges you face in the Kenyan context running your business? I came into the entrepreneurial world from a very structured corporate environment. I found that none of what applies there applies in the context of a small and growing business. In a small business, sometimes you are everything from the security guard, to the finance guy, to the manager etc. People are the toughest challenge. You have to pick out those who are excited and committed and figure out how to grow their capabilities and ensure that they are adding value to the business every day. You’ve mentioned before that you’ve been extending to other countries in the region? We are looking at East Africa i.e. Tanzania and Uganda in addition to Kenya. The promise to our customers can transcend borders. If we offer the best all-round service then they are prepared to pay the price. If I can remove packaging off our customers’ list of problems then I am doing the job right. How did you come to employ deaf people? One of the aims of starting a business is to help the community. It is not only about making money. We thought about lots of ideas for corporate social responsibility. We needed something that would be sustainable and have a long lasting impact. I didn’t just want to sign a cheque. We realised that there was an opportunity to help people who haven’t got an opportunity. There was one man who had plenty of qualifications but he couldn’t get a job. He had every skill set other than that he couldn’t hear. In our noisy environment his senses are more enhanced than anyone else. Our employees who have hearing challenges are completely equal to everyone else and they grow on their merit. I am making an impact on one person who did not have an opportunity. People who work around our employees with deafness, realise that they are just the same as everybody else. Through employing such people; giving them a formal job, they can leave Adpack with a track record. They are some of the best employees who just needed someone to believe in them and who can’t go anywhere else. Employing somebody with a hearing disability is not dependent on the size of our donation to whatever CSR cause; instead its totally sustainable and these guys are contributing to the growth of the business and are part of the family. My personal goal is to use my network to give others who have no second chance; to give 100 people an opportunity. What have you found to work best in keeping your business afloat/ profitable? In general it is trust. Every business, whether it is big or small, rich or poor or making millions in profit will hit hurdles at some point. You also need resilience throughout the journey. It’s really important. It is not easy to be in the thick of it. Lastly, transparency. When there is a problem, share it, people will help you if they can. Tell your suppliers and customers; explain and they will understand. They may not help you in every circumstance but people will often give you a hand. How would you describe the culture of your organisation? We are still developing; probably all small businesses do this. In the beginning one person makes the decisions and then you start giving opportunities and responsibilities to everyone else and then they get to grow and develop. I want this to be the culture to our company; one where we help each other succeed at work, at home, and in our personal lives. Whether you are the most junior or the most senior person, you should grow the business and grow your opportunities with it. How has how you lead changed over your years of involvement in leading/ running your business? I started the business trying to do everything my way. I checked and monitored everything. Now I realise that there are probably better people in the organisation who can do it and that I needed to set a direction and then to leave them to it or we will be limited by my limited capabilities. Ultimately, the business can only grow on the strength of thousands of people. I am now spending more time on building relationships with customers and suppliers and letting the team get on with their work. I am more hands off. We still expect and achieve the same high standard and it really works. What is your favourite aspect of being an entrepreneur/ running a business? As much as I hate problems or hurdles, I still like problem solving. Most entrepreneurs like running the business and solving the problem. It is exciting to know that you have fixed something. The excitement is to get to the finish line. From a customer perspective every time we get a repeat order I am happy because the customer trusts us. Every year we get lots of applications from people wanting to join the business which is a testament to the people within the organisation having made it successful. That makes me proud. You are already engaged in business networks what does the Coaching Programme add? It has helped me share the responsibility for the success of the business with other members of Adpack. I learned that I could trust them to deliver the business. I could share my vision for the business and get everybody on board to achieve our goals.